Assistant Professor, Department of Biochemistry and Molecular Biology, Tulane Cancer Center, Tulane University School of Medicine, New Orleans, LA. Note: Name has recently been legally changed to Heather L. Machado. Machado, H. L., Kittrell, F. S., Edwards, D., White, A. N., Atkinson, R. L., Rosen, J. M., Medina, D. and Lewis, M. T. (2013). Separation by cell size enriches for mammary stem cell repopulation activity. Stem Cells Transl Med 2(3): 199-203. Zwezdaryk, K. J., Warner, J. A., Machado, H. L., Morris, C. A. and Honer zu Bentrup, K. (2012). Rotating cell culture systems for human cell culture: human trophoblast cells as a model. J Vis Exp(59). Batts, T. D., Machado, H. L., Zhang, Y., Creighton, C. J., Li, Y. and Rosen, J. M. (2011). Stem cell antigen-1 (sca-1) regulates mammary tumor development and cell migration. 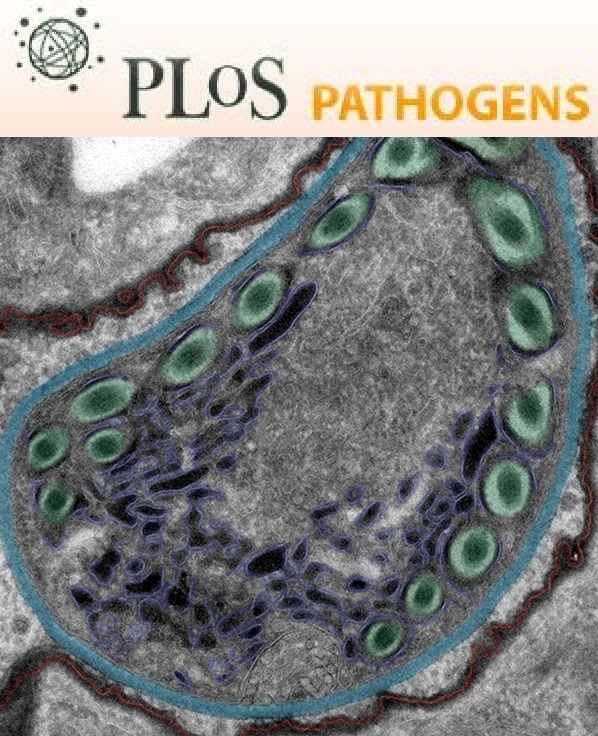 PLoS One 6(11): e27841. Kittrell, F. S., Carletti, M. Z., Kerbawy, S., Heestand, J., Xian, W., Zhang, M., Lamarca, H. L., Sonnenberg, A., Rosen, J. M., Medina, D. and Behbod, F. (2011). Prospective isolation and characterization of committed and multipotent progenitors from immortalized mouse mammary epithelial cells with morphogenic potential. Breast Cancer Res 13(2): R41. Visbal, A. P., LaMarca, H. L., Villanueva, H., Toneff, M. J., Li, Y., Rosen, J. M. and Lewis, M. T. (2011). Altered differentiation and paracrine stimulation of mammary epithelial cell proliferation by conditionally activated Smoothened. Dev Biol 352(1): 116-127. Long, W., Yi, P., Amazit, L., LaMarca, H. L., Ashcroft, F., Kumar, R., Mancini, M. A., Tsai, S. Y., Tsai, M. J. and O'Malley, B. W. (2010). SRC-3Delta4 mediates the interaction of EGFR with FAK to promote cell migration. Mol Cell 37(3): 321-332. LaMarca, H. L., Visbal, A. P., Creighton, C. J., Liu, H., Zhang, Y., Behbod, F. and Rosen, J. M. (2010). CCAAT/enhancer binding protein beta regulates stem cell activity and specifies luminal cell fate in the mammary gland. Stem Cells 28(3): 535-544. Coffelt, S. B., Marini, F. C., Watson, K., Zwezdaryk, K. J., Dembinski, J. L., LaMarca, H. L., Tomchuck, S. L., Honer zu Bentrup, K., Danka, E. S., Henkle, S. L. and Scandurro, A. B. (2009). The pro-inflammatory peptide LL-37 promotes ovarian tumor progression through recruitment of multipotent mesenchymal stromal cells. Proc Natl Acad Sci U S A 106(10): 3806-3811. LaMarca, H. L. and Rosen, J. M. (2008). Minireview: hormones and mammary cell fate--what will I become when I grow up? Endocrinology 149(9): 4317-4321. LaMarca, H. L., Dash, P. R., Vishnuthevan, K., Harvey, E., Sullivan, D. E., Morris, C. A. and Whitley, G. S. (2008). Epidermal growth factor-stimulated extravillous cytotrophoblast motility is mediated by the activation of PI3-K, Akt and both p38 and p42/44 mitogen-activated protein kinases. Hum Reprod 23(8): 1733-1741. Coffelt, S. B., Waterman, R. S., Florez, L., Honer zu Bentrup, K., Zwezdaryk, K. J., Tomchuck, S. L., LaMarca, H. L., Danka, E. S., Morris, C. A. and Scandurro, A. B. (2008). Ovarian cancers overexpress the antimicrobial protein hCAP-18 and its derivative LL-37 increases ovarian cancer cell proliferation and invasion. Int J Cancer 122(5): 1030-1039. Shelby, B. D., LaMarca, H. L., McFerrin, H. E., Nelson, A. B., Lasky, J. A., Sun, G., Myatt, L., Offermann, M. K., Morris, C. A. and Sullivan, D. E. (2007). Kaposi's sarcoma associated herpesvirus G-protein coupled receptor activation of cyclooxygenase-2 in vascular endothelial cells. Virol J 4: 87. LaMarca, H. L. and Rosen, J. M. (2007). Estrogen regulation of mammary gland development and breast cancer: amphiregulin takes center stage. Breast Cancer Res 9(4): 304. Zwezdaryk, K. J., Coffelt, S. B., Figueroa, Y. G., Liu, J., Phinney, D. G., LaMarca, H. L., Florez, L., Morris, C. B., Hoyle, G. W. and Scandurro, A. B. (2007). Erythropoietin, a hypoxia-regulated factor, elicits a pro-angiogenic program in human mesenchymal stem cells. Exp Hematol 35(4): 640-652. LaMarca, H. L., Morris, C. A., Pettit, G. R., Nagowa, T. and Puschett, J. B. (2006). Marinobufagenin impairs first trimester cytotrophoblast differentiation. Placenta 27(9-10): 984-988. LaMarca, H. L., Nelson, A. B., Scandurro, A. B., Whitley, G. S. and Morris, C. A. (2006). Human cytomegalovirus-induced inhibition of cytotrophoblast invasion in a first trimester extravillous cytotrophoblast cell line. Placenta 27(2-3): 137-147. Sainz, B., Jr., LaMarca, H. L., Garry, R. F. and Morris, C. A. (2005). Synergistic inhibition of human cytomegalovirus replication by interferon-alpha/beta and interferon-gamma. Virol J 2: 14. LaMarca, H. L., Ott, C. M., Honer Zu Bentrup, K., Leblanc, C. L., Pierson, D. L., Nelson, A. B., Scandurro, A. B., Whitley, G. S., Nickerson, C. A. and Morris, C. A. (2005). Three-dimensional growth of extravillous cytotrophoblasts promotes differentiation and invasion. Placenta 26(10): 709-720. LaMarca, H. L., Sainz, B., Jr. and Morris, C. A. (2004). Permissive human cytomegalovirus infection of a first trimester extravillous cytotrophoblast cell line. Virol J 1: 8. McFerrin H.E., Sullivan D.E., Nelson, A.B., LaMarca H.L., Shelby B.D., and Morris C.A. 2004. Tat Induced Angiogenesis., p. 129-162. In R.R. Watson (ed. ), AIDS and Heart Disease. Marcel Dekker, Inc., New York.